Family tours are, for want of a better word, absolute fun. And, with your favorite bunch of people around, time always flies. However, when it comes to family fun, destinations matter. In fact, they matter the most. A wrong choice of destination can kill the fun completely while the right one will be etched in your memory forever. That’s why many cities have areas and tour programs designated exclusively for families and kids. If you are visiting Delhi, you are in for good news as the national capital has no dearth of places to explore with your folks. Here, we’ve compiled a handpicked list of places to visit in Delhi with family that are going to give you endless memories for a lifetime. Yes, it certainly feels counterintuitive to take your family to historical monuments, especially if the idea is to have a fun day out. Not when you are in Delhi, though! The capital city has a number of historical places to visit with family and kids – places that are fun, educational, and entertaining, all at the same time. Here’s a list of historical places in Delhi that are worth visiting with your folks. 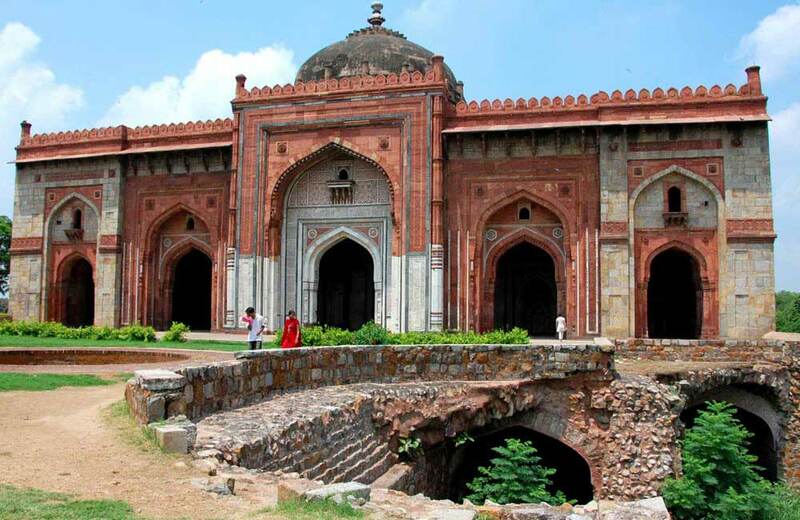 Purana Qila aka Old Fort is a charming citadel built in the sixteenth century by Humayun and modified by Sher Shah Suri in a circuit of about two kilometers. That’s the history part of it. Now, coming to the fun part, make it a point to attend the spectacular light and sound show here in the evenings. It covers subjects of valor, politics, and historic achievements that have shaped India into what it is today. With the grand structure in the background, laser lights are magically maneuvered using cutting-edge projection technology to create a visual extravaganza. There is also a lake in the complex for you to enjoy boating with your loved ones. This place deserves to be visited on a family tour for a number of reasons. For starters, the Red Fort is a UNESCO World Heritage Site that symbolizes the architectural genius of the Mughals. Secondly, the light and sound show conducted here in the evenings will amuse school-going kids and adults alike. It will give you a lesson or two in the rich history of Delhi, the country’s freedom struggle, and the evolution of modern India thereon. The eclectic illuminations, magnetic music, and crisp recitals make this a show one to remember. On your way in, you will encounter a small fair with several stalls selling knick-knacks, handicrafts, bags, pashminas, and much more. Don’t forget to spend some time shopping with your dear ones and take home a few souvenirs. Standing tall at about 237 feet with five converging storeys and 379 steps leading upwards, Qutub Minar is an epitome of strength and survival. The tallest tower in the world, this minaret constructed in 1192 enjoys the status of a UNESCO World Heritage Site. The complex has an Iron pillar that never rusts, which is sure to spark the interest of science-loving kids. In the month of November or December every year, the Qutub Festival takes place here, so if you are visiting Delhi during that time, make it a point to attend it with your loved ones. By the way, it is mandatory to click a family photo with the towering minaret in the background. A place with historical as well as scientific significance, Jantar Mantar will be an instant hit among children and young adults. Built in 1724, this complex has 13 astronomical instruments that calibrate movements of the sun, moon, and the planets of the solar system. Children will get to revisit their science lessons and indulge in some constructive time at this equinoctial sundial. When you want to enjoy a nice evening with your family doing a lot of things, from sightseeing and shopping to relaxing and binge-eating, India Gate is where you should be heading to. This memorial arch built in salutation to the brave warriors and martyrs of India with architect Edwin Lutyens’ design is awe-inspiring and magnificent. What is equally amazing is the large expanse of lush green lawns surrounding it, which makes it one of the most popular picnic spots in Delhi. After spending a few hours in the lawns flying kites or playing cricket, you can have a filling dinner with your family at one of the many eateries located nearby, or boat in the ponds. Sounds like a weekend plan, does it? Children are always attracted to places that ignite their imagination, such as museums and science centers. The national capital of India has quite a few such places, and visiting these will be among the best things to do in Delhi for kids. Here’s our list. Established in 1992, this museum tickles the interest of science lovers quite fascinatingly. The galleries at the National Science Centre include Our Science and Technology Heritage Gallery, Giant Kaleidoscope, 3D show, Information Revolution Gallery, Human Biology Gallery, Pre- Historic Life Gallery, Fun Science Gallery, and Emerging Technologies Gallery, to mention a few. Achievements in the scientific field are highlighted here in all glory, giving your children a fulfilling and enlightened day. An ode to the exhilarating history of Indian Railways is the National Rail Museum, which features with more than a hundred life-sized exhibits of trains and railway infrastructure. This is where you will come across static and functional models, signaling systems, railway furniture, old photographs, railway literature, and many more exciting items. Exhibits of the old Maharaja Train saloons constructed in 1875 and the Fairy Queen, which is a steam locomotive built in 1855, are the key attractions here. Children can also enjoy a ride on the Toy Train and the 3D virtual coach. 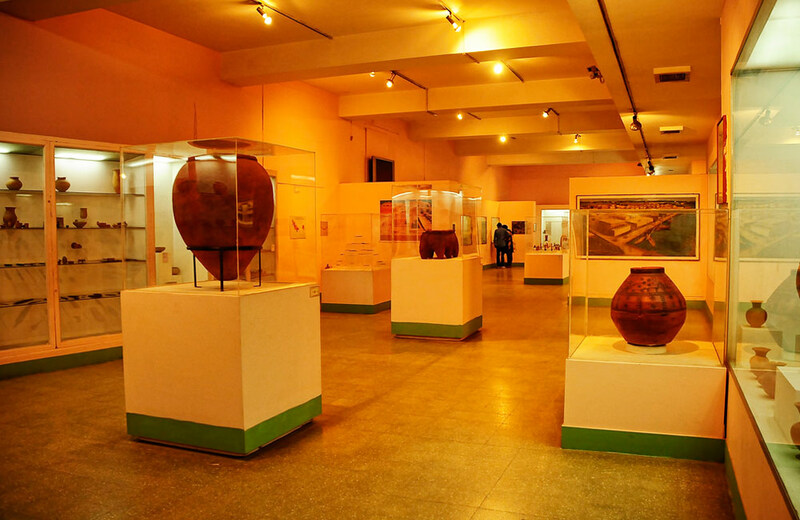 This museum has a rare collection of artifacts, pictures, and displays relating to sanitation systems and toilets, starting from the Harappan Civilization and the Mohenjo-Daro culture of 3000 BC to the modern era. The underground drains in the township, soak-pits, table-top units, bided, and manholes of the bygone era have been marvelously displayed along with objects from Ancient Egypt, Babylon, Greece, Crete, Jerusalem, and Rome, Mughal era, and the British royalty. You can also behold toilets made of silver and gold and the two-storeyed toilet from the USA from the 1920s. This complex named after India’s first Prime Minister has been set in his former residence. The establishment promotes astronomy and other sciences through a number of workshops, observing activities, quizzes, and art competitions. The dome-shaped sky theatre, which is a popular attraction at the planetarium, shows the intricacies of constellations, planets, and the sky. 3D visual effects are effectively used in the shows, giving your kids a glimpse into the awe-inspiring phenomena that the universe is. Set up by K Shankar Pillai, the famous cartoonist, this museum displays over 6000 dolls from over 85 countries. Children are sure to get mesmerized by the dolls showcased in different attires and postures. The museum has 160 glass cases in an area of over 5000 sq. ft. The place also houses a doll workshop where these popular playthings are crafted. If your little ones always wanted to go to Barbie Land, then this is the top venue for exciting their senses in a totally desi way. If you want to admire the country’s traditional art and craft forms, the National Crafts Museum is where you should be heading to. This center displays the handicraft and handlooms splendor of the country, quite elaborately at that. You will find several interesting exhibits from the rural regions of the country, such as wood art, metalware, paintings, mud huts with thatched roofs, terracotta horses, village shrines and village courtyards. Exquisite galleries for wood and stone carvings, village complexes with distinct paintings, live demonstrations by rural craftsmen, cultural performances and a large chariot are other attractions at the museum. This place offers creative engagements and activities for kids aged between 5 and 16. The plethora of activities conducted here includes science programs, literary events, creative arts, photography, performance arts, physical fitness, museum arts and public relations arts. Many personality-building activities and social skills-shaping activities are also conducted here. A traffic park, skating rink, magic mirror house, mini zoo, aquarium, camping hostel, open-air theatre, workshops and cultural exchange venues re at the center, giving children a great time. Now, it’s time to take your little ones to ‘meet’ the most towering figure in Indian history – Mahatma Gandhi. The relics of the Father of the Nation can be found at the National Gandhi Museum, which includes books, journals, pictures of important events, art pieces, and other memorabilia. The Spinning Wheel gallery and Ashram gallery are the most prestigious ones at this museum. Interested to know more about such places that are entertaining and informative at the same time? Read our blog on the must-visit museums in Delhi. Nothing helps families bond better than a few hours of fun and entertainment. And, when you are in Delhi, your options are plenty. Here’s our list of fun places to visit in Delhi with your folks. Just as the name suggests, this is an island of adventure, spread over 62 acres of land. The place has several dry and water rides to keep visitors entertained for a whole day, including special rides for families and children, making it one of the best places to visit with your child in Delhi. Some of the popular rides and slides here include Splash Down, Z-Force, Wave Rocker, Cyclone, Swan Boat and Water Coaster, all of which are totally entertaining. With great food, shopping, and gravity-defying rides, this place can give kids and adults the goosebumps for sure. The capital city of India is home to many other water parks and amusement parks where families can have a whale of a time. 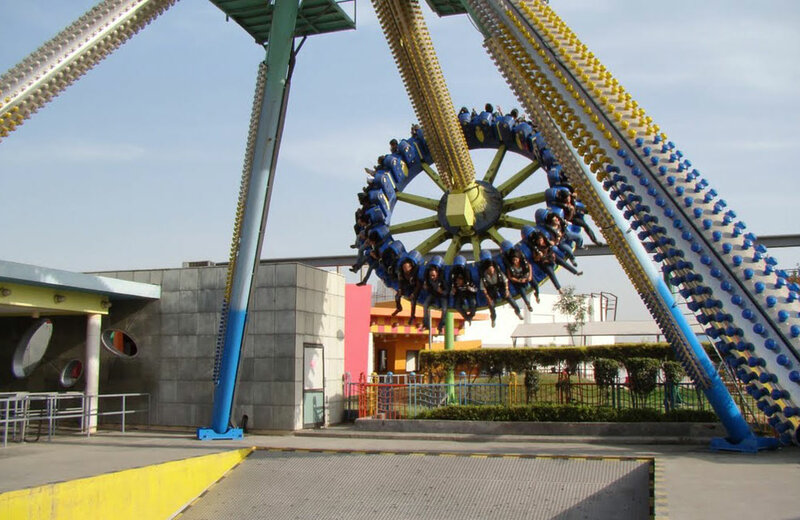 Check our blog on the amusement parks in Delhi for more details. Those who love polo and horse riding can indulge in some fun with four-legged friends at this riding club. Jumping and dressage training is also provided by experienced trainers. Kids bond well with horses and as a result, they start developing empathy, communication skills, and confidence. This is one of the best holiday activities in Delhi for kids, so you can consider enrolling your children at this riding club. One of the largest outdoor activity centers in the city for children, Kiddyland Delhi has play structures, swings, rope climb sessions, slides, ships, and more for a gala time. The Ball Pool has more than two thousand balls for kids to play around. Located within DLF Promenade in Vasant Kunj, This place is meant for kids from two years to twelve years of age. Kiddyland also conducts story-telling sessions for the little ones with ‘big’ imagination. There’s something about gardens and parks that make children fall for them, quite instantly. It’s probably the greenery, the prospect of unlimited fun, and the freedom to enjoy nature in close quarters. Either way, there are many parks in Delhi for kids, of which the most popular ones are listed below. Right adjacent to the India Gate is a lush park with ten acres of greenery, slides, swings, spinning, play gyms, climbing frames and more for kids to indulge in. The lights in the evening beautify the park along with the breezy atmosphere. Adults can enjoy some laidback moments on the well-maintained lawns while the little ones indulge in different activities. The park also houses a musical fountain, library, and aquarium. A zoo is one of the best places to visit with your family, and when in Delhi, you can certainly spot one. Spread over 176 acres of land, the zoological park of Delhi boasts of a wide range of flora and fauna. White tigers, bears, emus, wolves and bears can be spotted here in conditions that seek to simulate their natural surroundings. Hustled within the concrete jungle of the national capital is this green retreat adorned with lakes, flora, and fauna. Deer leaping about the park are sure to cheer you and your kids up in a jiffy. This is one of the best weekend outing places in Delhi, where you can easily spend a few hours in complete peace. Are you looking for more fun and entertainment? Check our blog on the best places to have a fun-filled day for ideas. Shopping, food, and entertainment are like magic. Each of these can take you from feeling okay to awesome in a matter of minutes. When you are in Delhi, experience that magic with your family at the below-listed places. 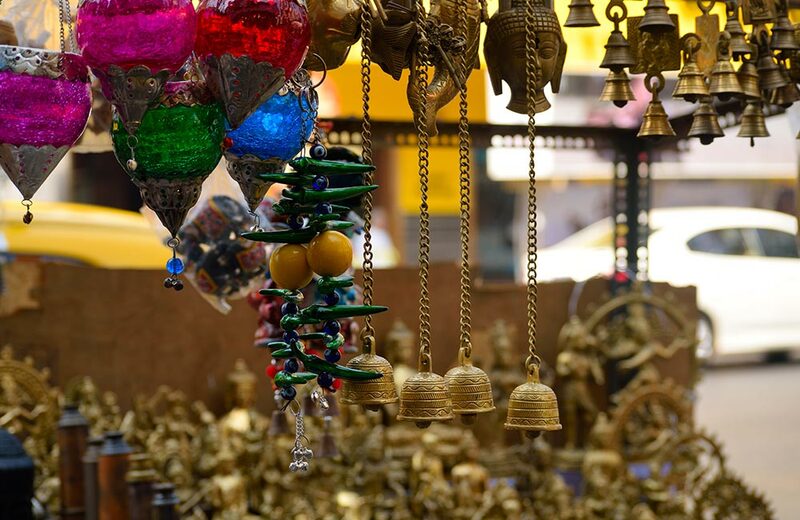 This flamboyant center of cultural vibrancy in Delhi showcases ethnic culture from across rural India and sells exquisite handicrafts, handlooms, toys, wooden art like sandalwood and rosewood carvings, leather footwear, ethnic fabrics, beads, brassware, metal merchandise and chandeliers. You can also take a gastronomic tour here as the place plates up regional dishes from Northern, Central, Southern, and North-eastern India. No wonder, Dilli Haat is touted as one of the ever-green places in Delhi to hang out with family for those with a cultural bent. A family trip can be made better with a shopping spree at Janpath. Known as the budget shopper’s haven, this market along the 1.5 km long eponymous road sells souvenirs, fabrics, books, handicrafts, accessories, junk jewelry, beads, toys, and much more. Known for apparel and clothes for adults and kids, Janpath has many restaurants for famished shoppers. Shopping counts among the best things to do in Delhi with family. Do you know that the capital city has many shopping places that don’t burn a hole in your pocket? Read our blog on the pocket-friendly shopping options in Delhi. This huge mall offers a memorable shopping and entertainment experience in Delhi. The 180 branded stores, leisure activities, bistros, bar, and eateries here offer upscale enjoyment. Everything is irresistible with great engagements for everyone, including movies. So, if you want to enjoy fun, food, and retail therapy, but want it all under one roof, you know where you should go. This isn’t a comprehensive list, but is good enough to give you a starting point. So, next time you are in the capital city, check in at one of the many hotels in Delhi, unload your luggage, take your backpacks, and start exploring these places with your kinfolk. Because, in Delhi, every day is a good day to create ever-lasting memories.